Well here we are again, Hello Everyone, Week 15 and now only 4 more Wednesdays before Christmas Scary Ah? I hope you have all finished your Christmas Shopping (Yes I have) and I have also sent all my parcels off around the world. So the only Christmas cards left to make are for my work mates. 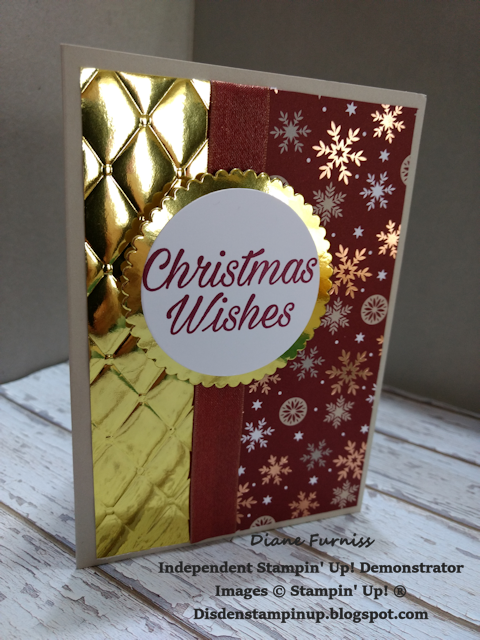 So this week I have made a really simple card, but I think it's very effective I love the way the tufted Embossing folder look on the Gold Foil Sheet. So using up the last of the Joyous Noel DSP (which I love so much) I started with a gray granite Card base and added the Gold Foil Sheet and DSP at a 1/3 to 2/3 ratio and added the Merry Merlot & Copper Ribbon down the length to hide the join. 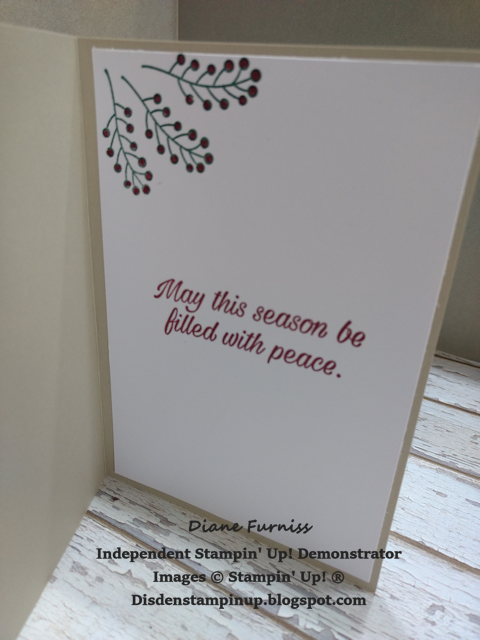 I stamped the Christmas wishes from the Peaceful Poinsettia Stamp Set using Merry Merlot Ink and then mounted this onto another gold circle and attached this to the front of the card using Dimensionals. Using the same stamp set I stamped the insert on Whisper White card and used Merry Merlot and Tranquil Tide ink. 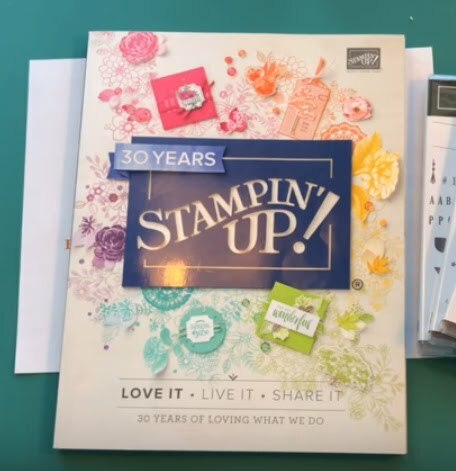 All the items used for the project can be found in the 2018 - 2019 Annual Catalogue and the 2018 Holiday Catalogue. 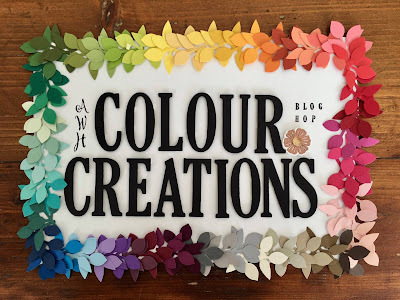 If you would like to purchase any or all of the product used in the project please give me a call or email so that I can help you with your purchase. Please be aware that the 2018 Holiday Catalogue finishes on the 2nd January 2019 so you will have to get in quick. 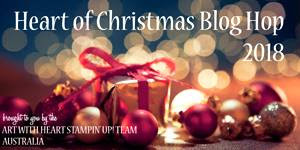 As this is the last week of the Heart of Christmas Blog-Hop I Wish you all a very Merry Christmas and a Safe and Prosperous New Year. Fabulous! I agree the tufted folder looks amazing with the foil card. Love the gold with the Merry Merlot too. Thankyou for so consistently participating in Heart of Christmas this year! Lovely Diane, that paper is a favourite of mine too and that gold foil looks great embossed with the Tufted TIEF! That tufted emobossing of the gold foil looks fabulous! How good does that gold foil look embossed in the tufted TIEF. Great card! Oh, well done on being so organized Diane. A great card with a touch of luxury.